The 2017 Beneteau Antares 36 motor boat is a smart choice for those wishing to experience a new sense of freedom in style and comfort. Jump aboard this Beneteau Antares 36 in Sibenik and get ready for a high-speed adventure at sea with your friends and family. 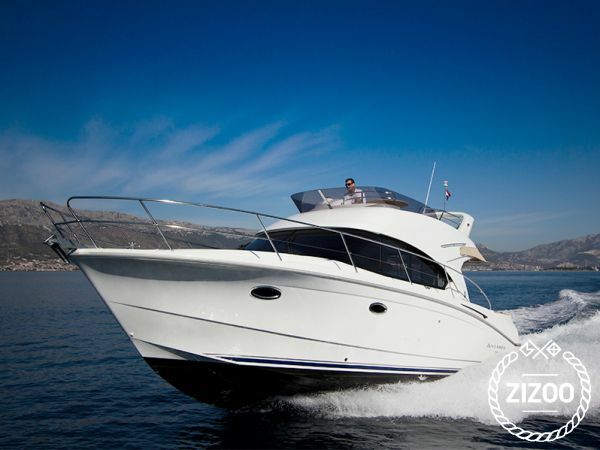 The Beneteau Antares 36 accommodates up to 6 guests and is perfect for exploring secluded coves and beaches in Croatia. The Beneteau Antares 36 is located in Marina Mandalina, Sibenik, a convenient base to start exploring Sibenik on a chartered motor boat. Learn more about the Beneteau Antares 36 motor boat below. Meine Verlobte und ich hatten das Boot für ein Wochenende gebucht und waren zufrieden mit allem! Sehr guter Service, netter Charter und sehr freundlicher Skipper!